Neither rain, nor mudslides, nor wrecks on Los Angeles highways could keep nearly 60 participants from attending the third annual Project Linus event in North Hollywood, Calif., on a chilly February day. Sponsored jointly by the Southwest California Synodical Women’s Organization (SWO) and the Lutheran Youth Organization (LYO), the event is an opportunity for intergenerational charity-making. 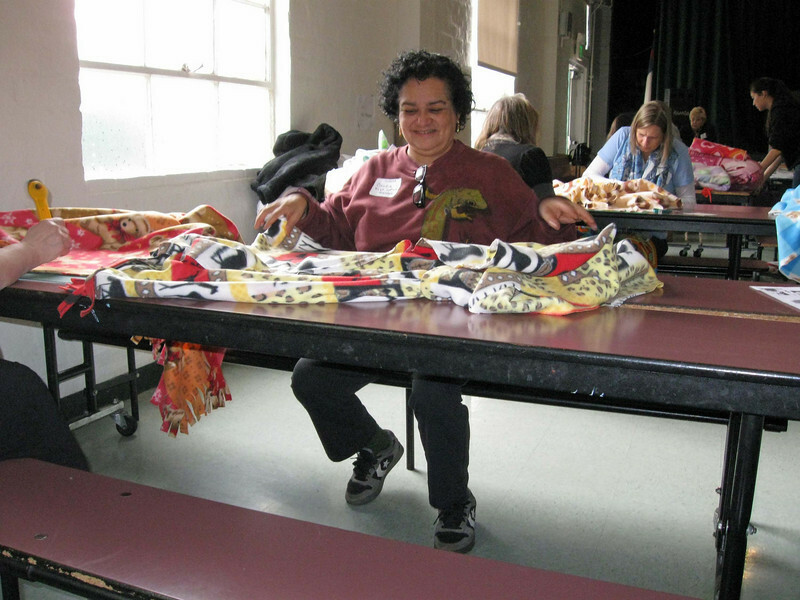 Despite the rain and congested highway, women and teens showed up at Emmanuel Lutheran Church in North Hollywood and made 74 blankets, one more than in 2009.